The Town of York is a coastal Maine community rich in history and attractions. It has a bustling seashore community as well as a larger wilderness preserve located inland. There are many beaches, the famous Nubble Lighthouse, and many museums. The town of York was first settled in 1641 and was the first chartered English city in North America. Official Website of The Town of York, Maine. York, Maine Parks and Recreation. Historical Facts about York, Maine. The Greater York Region Chamber of Commerce. York, Maine. Wikipedia, the free encyclopdia. "Vegetarian breakfast, Yoga, Massage, Reiki"
Places to Stay in York by Southern Maine Coast. Mount Agamenticus Conservation Region. 10,000 acres of land and undeveloped forest along coastal New England. Civil War Monument. Located in York Village Square, York Street (Route 1A). Museums of Old York. Explore nine historic museum buildings, art gallery, and wonderful gardens. 300 years of New England heritage. York Center for Wildlife. Cape Neddick, Maine. Beaches. There are four beaches in York, Maine. They are the Short Sands Beach, Long Sands Beach, York Harbor Beach, and Cape Neddick Beach. Nubble Lighthouse. Located on Nubble Road one mile east of Route 1A in York, Maine. Boon Island Light. Located off the coast of York, Maine. The Ledges Golf Club. York, Maine. "Fine wines, gourmet cheeses, specialty foods"
Greater Portland Maine Transportation Information. Metro Greater Portland Transit District. Town of York, ME - GIS Online Mapping. 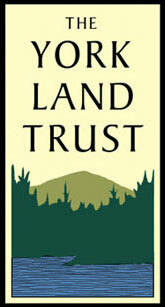 York Land Trust Conservation Properties. Weather in Portland. By Weather.com. Weather Conditions and Forecast. Wunderground.com. May 28, 2008. "Maine beach town has both old-time feel and an elegant side". Boston.com.